Welcome to Vollrath University. I'm Chef Rich and we're in the Vollrath test kitchen today to learn about how to properly operate your LidSaver 2 dispenser. First, let's take a look at how to load a 2 dispenser. Before loading lids make sure your lids match the manufacturer and lid number noted on the lid plate label. Each LidSaver is factory set to dispense a specific lid or cup. If you change manufacturers or lid sizes, the LidSaver 2 will need to be modified accordingly after confirming numbers open the the door past 90 degrees so it stays open. Note, on older models you may have to press a button on the bottom left side to keep the door open. Before loading, be sure to separate and release any lids that may have pressed together during packaging. 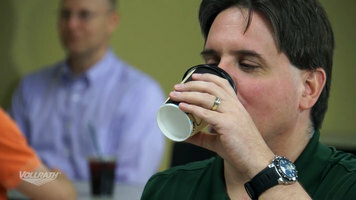 Then, load your lids or cups making sure that either the top of the lid stack on the top of a cup stack is facing you. Be sure not to overstock the lids as compression can cause dispensing problems. 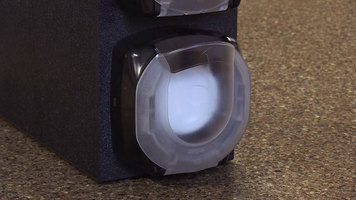 Finall,y if dispensing tab lids, align lid tabs either straight up or down to avoid interference with the lid claws. After loading the LidSaver, gently pull the door open past 90 degrees and release so it closes automatically. To learn more about this or any other Vollrath product, visit us online at Vollrath.com. 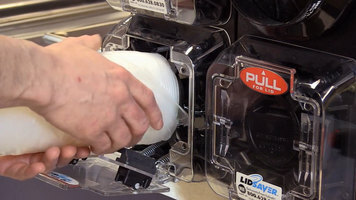 Learn about how to properly operate your LidSaver 2 dispenser by watching this video!